The brother of country singers Chuck and Tompall Glaser, he performed as both a solo artist and alongside his two brothers in the group Tompall and the Glaser Brothers. His early career as a backup vocalist included a long stint with singer/songwriter Marty Robbins. Shortly before beginning his solo recording career he had two major hits as songwriter in 1964, the top 5 “What Does it Take” which was recorded by Skeeter Davis and the top 40 “Thanks a Lot for Tryin’ Anyway” recorded by Liz Anderson and later covered in albums by Jan Howard and Connie Smith. 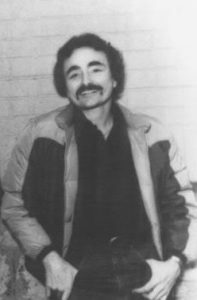 As a solo artist, Jim Glaser recorded four studio albums, and charted several singles on the Hot Country Songs charts, including the Number One hit “You’re Gettin’ to Me Again”. Out of his three brothers, he was the only one to have a Number One hit. He was selected by the Academy of Country Music as Best New Male Vocalist in 1984. 9: Paul Severs, 70, Belgian singer. 7: Gino Stefani, 89, Italian jazz musician, musicologist and semiologist. 6: Jim Glaser, 82, American country music artist (“You’re Gettin’ to Me Again”), heart attack. 5: Ib Glindemann, 84, Danish jazz composer and bandleader; Pastor López, 74, Venezuelan singer-songwriter, stroke; Shawn Smith, 53, American singer, songwriter and musician (Brad, Satchel, Pigeonhed), torn aorta and high blood pressure; Davey Williams, 66, American avant-garde guitarist (Curlew) and music critic (Birmingham News), cancer; Wowaka, 31, Japanese Vocaloid producer and vocalist, heart failure. 4: Alberto Cortez, 79, Argentine singer and songwriter, gastric haemorrhage; Marilyn Mason, 93, American concert organist and academic (University of Michigan); Tiger Merritt, 31, American singer and guitarist (Morning Teleportation). 3: Einar Iversen, 88, Norwegian jazz pianist and composer; Maurice Pon, 97, French lyricist. 2: Rick Elias, American musician (A Ragamuffin Band), brain cancer; Kim English, 48, American house and gospel singer and songwriter, kidney failure.